Here’s the rub, my swashbuckling friend… Thinking you’re going to get laid at LocalBooty.com is even more ridiculous than talking like a pirate. But why, Frankie? 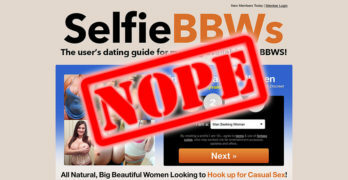 What’s wrong with LocalBooty.com? Ever heard the phrase, “bad things come in threes”? Three bad things you’ll find on LocalBooty.com. 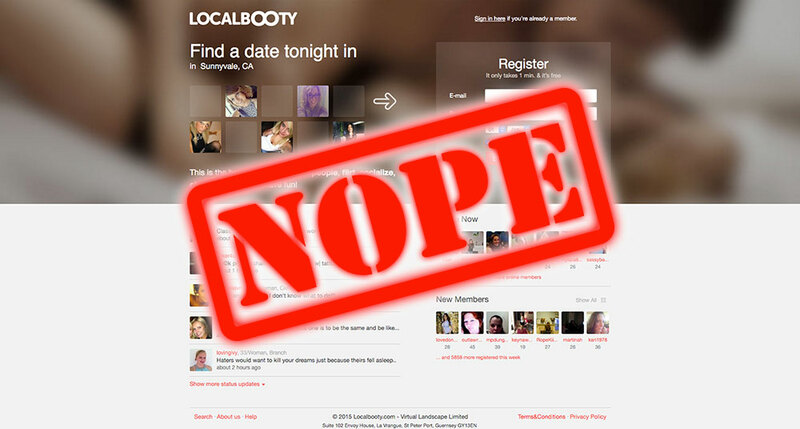 LocalBooty uses something they call, “Online Flirts”. This, of course, isn’t particularly fitting since it would require actual human beings to be “online” on their scamapalooza of a site to flirt with in the first place. Let’s follow our usual protocol here and head on over to the one place where it’s possible to dig out the truth from these con artists: The Terms and Conditions page. Oh look! What do we have here in Section I.6.? THIS SITE USES FANTASY PROFILES CALLED “ONLINE FLIRT®” In order to enhance your amusement experience, to stimulate you and others to use our Services more extensively, and to generally sprinkle some sparkle and excitement into the Services of LOCALBOOTY.COM, we may post fictitious profiles, generate or respond to communications by means of automated programs or scripts that simulate or attempt to simulate your intercommunication with another real human being (though none really exists and any dialog is generated by programming), and we may employ or contract for the paid services of real persons who may interact with you as part of their compensated employment. Man, I know I’m repeating myself here, but goddamn! The size of the balls on these brazen scammy fuckers is awe-inspiring.